As a hunter and firearms user since I was about 12 years old it annoys me intensely when I read stories about people who have shot other people while out hunting. The latest episode involves a guy who shot another hunter from just 26 metres! Quentin Mccreedy was gripped by the thrill of “stag fever” when he lined up and shot another hunter, in the mistaken belief he was about to bag a deer. 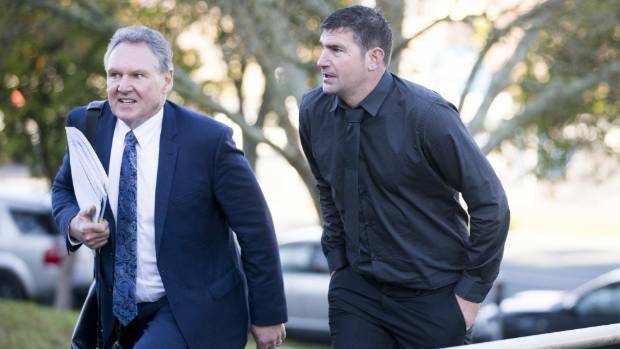 Mccreedy, 37, of Waitoa, was sentenced to six months of community detention when he appeared in the Hamilton District Court on Friday charged with causing the death of Douglas Leech by carelessly using a firearm, namely a Tikka T3 hunting rifle. As well as his community detention, he was ordered by Judge Rosemary Riddell to undergo a year of supervision, undertake 200 hours of community work and pay the family of his victim $10,000 in reparation. The charge comes with a maximum penalty of three years in prison or a fine of up to $4000. This guy should actually be in prison. He’s taken another’s life. Six months community detention is a joke. ​It was at the start of the deer mating season – colloquially known as the roar – on April 2 when Gordon Douglas Leech, 57, was hunting in a remote section of bush in the Kaimai Mamaku Ranges, near Te Aroha, when he was struck by a high calibre bullet fired by Mccreedy, who was 26 metres away. Mccreedy had been hunting with another man when he heard a crashing sound coming from the dense bush ahead, roughly about 30m away. He activated his electronic caller – a device used to emulate female deer calls – and in response the movement in the bushes approached. Through the scope of his rifle he saw a brown object moving forward. He pulled the trigger. However it was no deer’s pelt that he had seen. It was an oilskin jacket that Leech was wearing. The Katikati grandfather, known as Gordy or Cookie, was an experienced hunter who regularly hunted in the Kaimai Ranges, and he had entered the Kaimai Ranges from the Katikati side for a day hunt alone. “I’ve been shot!” he exclaimed as Mccreedy and his companion rushed to help him. Their efforts were in vain and the older man died at the scene. Mccreedy had afterward told police he had “got a bit of stag fever”, and had described himself as “too eager” in his fervour. “You made an extremely poor decision to fire, based on what you believed you could see,” Judge Riddell said. Mccreedy’s counsel Roger Laybourn said his client “genuinely thought he had sighted a deer,” but “there is no dispute that he did not properly identify his target”. No, he did not properly identify his target and he killed someone. But can you believe what his lawyer said next? Oh, right, killing someone is at the “lower level of carelessness”? Sorry, here at The Wild we beg to differ. Someone has died as a result of his carelessness. He should be in priosn, and he most certainly should never be allowed access to firearms again. This is not a three strikes situation, it should be one strike and your out. Judge Riddell took a start point of 12 months in prison, and deducted 25 per cent for Mccreedy’s early guilty plea, and a further 25 per cent for his remorse, offer of $10,000 reparation, and his previously blameless life. Judge Riddell stopped short of sending Mccreedy to prison for six months, partly because his victim’s family did not support such a punishment, but partly because “you have your own kind of prison sentence with the knowledge you will always carry, that you have taken a life”. I disagree. He should have received a prison sentence. The Wild believes that people committing these sorts of crimes should never get a firearms licence ever again.